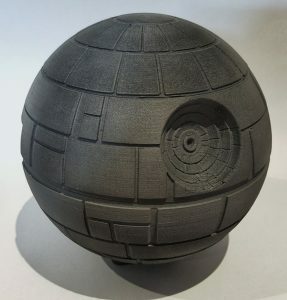 3D-Printed Death Star Enclosure for Your Pi 3 | #StarWars #enclosure #piday #raspberrypi @Raspberry_Pi « Adafruit Industries – Makers, hackers, artists, designers and engineers! 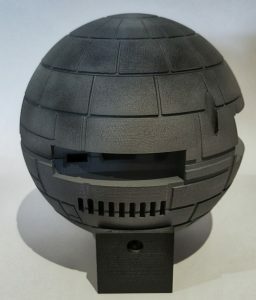 Maker Darren Furniss, who goes by the username “Furnibird” online, has created a created a 3D printed Death Star to house a Raspberry Pi 3. When we spoke to Furniss he told us that the print was created in Fusion 360, a programme he learnt from watching YouTube tutorials. 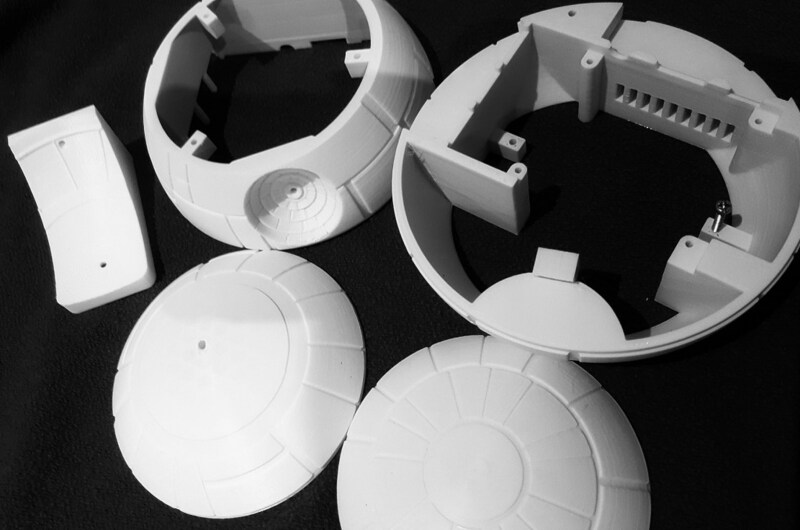 The design process took three weeks and had to incorporate some kind of closing mechanism. Instead of a hinge on one side, the top and bottom sections slide lock into place. Some screws are required to keep everything together, including the stand which is needed to stop your Pi rolling away.